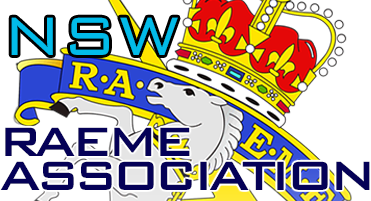 On 3rd October 1972 the first steps were taken to form the RAEME Association NSW. Col D T Rennie then DDEME put out a call for a public meeting for those who had or were serving with RAEME, RAOC (Mechanical Engineering Corps), REME members of other forces of the British Empire, all members of the Australian Women’s Services who had served or were serving with RAEME or RAEME staff at formation HQ and Land Force HQ with all members of AMF who had been or were attached to RAEME, irrespective of other Corps or unit identity. They met on 22ndOctober 1972 to discuss the formation of the Association. This first meeting, Col D T Rennie advised the aims and the constitution of the Association which is much the same as we have in our current constitution. The meeting was extremely successful, all agreeing that an association should be formed and 68 people joined that evening. By the end of January 1974 the Association had 160 members.